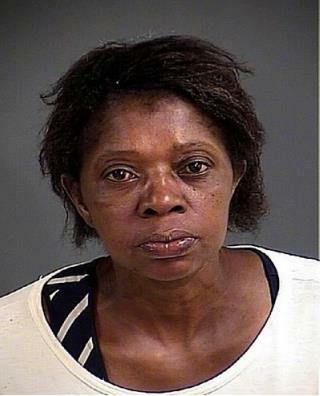 (Newser) – A lawyer says a South Carolina woman died in police custody last year because she was denied a basic necessity: water. Joyce Curnell, 50, was suffering from sickle cell disease, alcoholism, and hypertension, when she went to the emergency room with stomach flu last July. She was treated and released into police custody on July 21 over unpaid court fines, reports the Charleston Post Courier. Even though Curnell was vomiting "within minutes" of arriving at her cell at Charleston County jail, staffers failed to provide her with medical attention as advised by doctors at the hospital, according to court documents filed Wednesday against the jail's medical contractor, Carolina Center for Occupational Health. She was found dead 27 hours later, per the New York Daily News. This woman died because she made a choice to use drugs, commit crime, ignore her obligation to pay her fine when she got arrested the first time, and of COURSE she ended up in jail for failure to comply. Sounds like the consequences of some poor choices. Here's a pro tip: Pay your fines and you won't end up in jail in a situation like this. Better yet, don't commit crimes and you won't have fines in the first place. Easy peasy. this women didn't die because she was denied water, she died because she was denied medical treatment. She was sick and vomiting which leads to dehydration. The doctors advised she needed medical attention, she should have never been taken into custody in her condition. Now those unpaid tickets will cost the tax payers how much? RIP Joyce, looks like you never had any while you lived. not sure about drinking fountains.. but i believe most cells have a faucet.